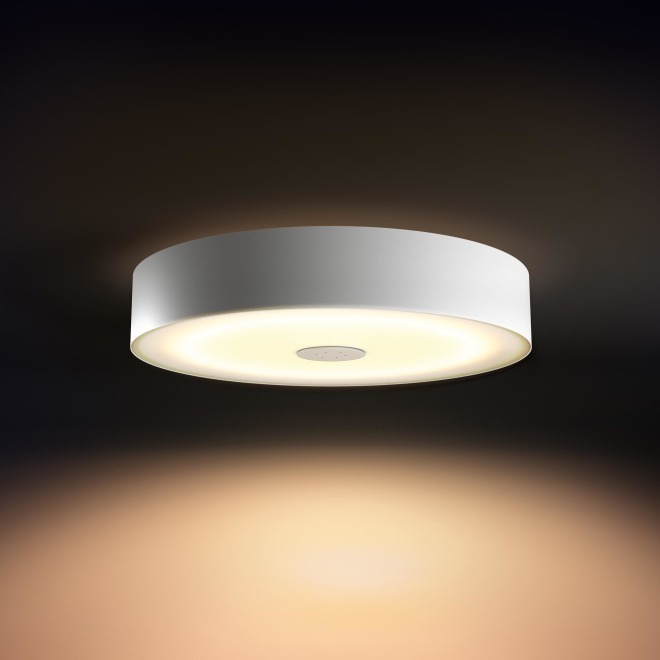 The Philips hue White Ambience Fair ceiling luminaire can be easily integrated into your hue lamp system. Enjoy the natural white to cosy warm-white light, which helps you wake up, recharge your batteries, concentrate, read and relax. With the app, the luminaire can be easily controlled and different light settings can be selected.